Sometimes it’s good to have the advantages of being wireless. Other times, it’s good to have the advantages of being wired. With most earbuds, you have to pick a lane. But in a world where everyone and their mother is carrying around some type of mobile device, being able to do both can be very useful. 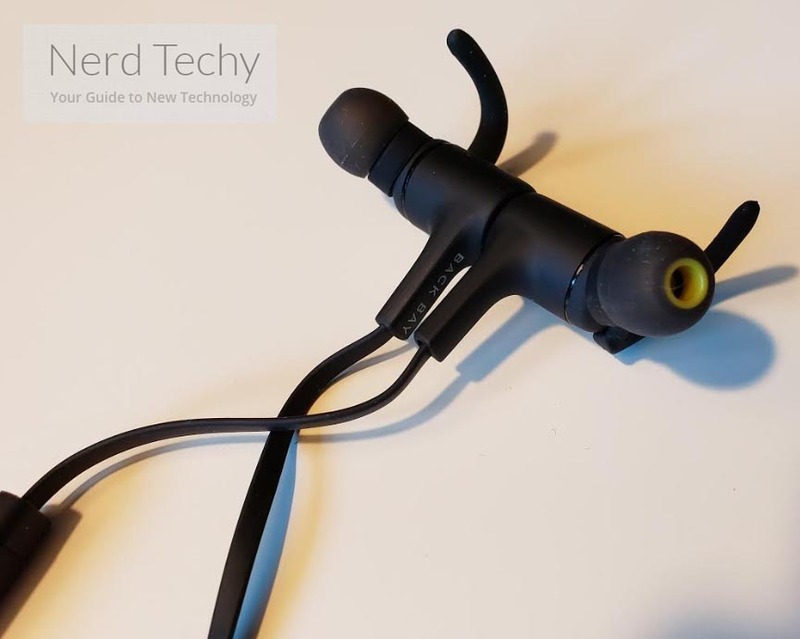 You might think the difference between playing your earbuds wired or wirelessly is trivial, but on a technical level, it’s actually quite complex. More often than not, earbuds use separate codecs for wired or wireless connections. Features may or may not be available, and even sound quality can change. Which is why it’s particularly important to pay attention to the construction of any earbuds that attempt to deliver both formats. 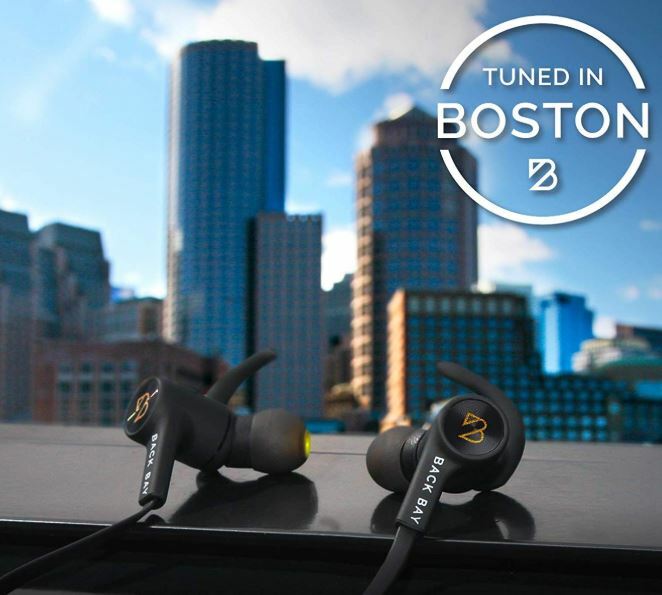 Though they don’t have the name recognition of a brand like Sony, Back Bay is a Boston based audio company with a soft focus on developing high fidelity audio equipment. One of their latest releases, the EQ 40, tremendously dynamic headphones. Both from a hardware perspective and from an audio perspective. 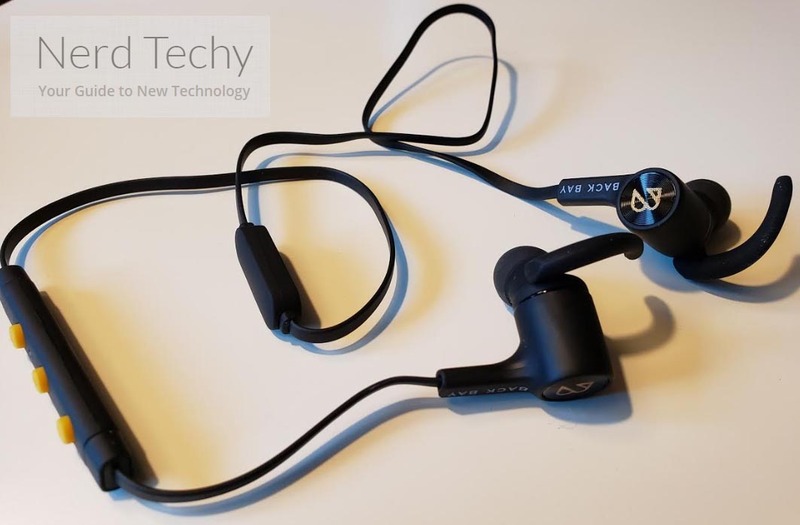 Strictly from a hardware perspective, these earbuds use a wired/wireless operation that provides a number of different advantages. Including the possibility of listening to music without having to expend battery life, additional audio codec options. From an audio perspective, these earbuds provide an equal array of versatility. For instance, it’s possible to utilize a number of effective presets with the help of the onboard equalizer. Apart from special features, the EQ 40 were built with the basics covered, too. For instance, they’ve been made with the kind of design you need for fully portable earbuds, even if you plan on using wired operation. They’ve also got a handful of calling features that are rarely seen on headphones around the $35 price range. But how well do the EQ 40 really perform? 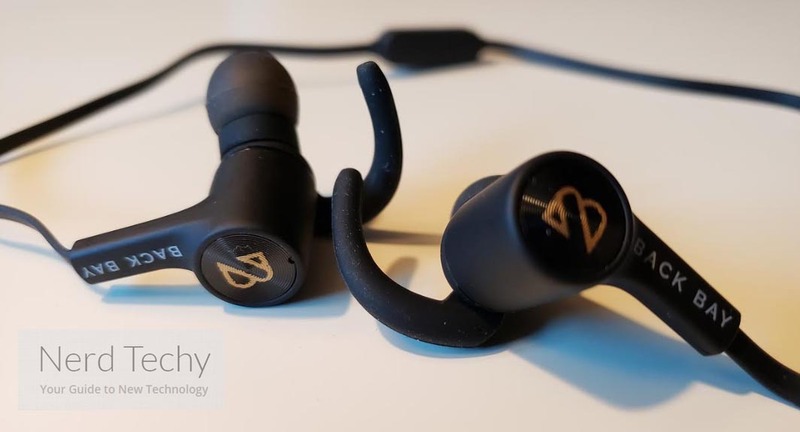 Superficially speaking, the EQ 40 look like pretty ordinary earbuds. But there’s actually a lot going on with them. 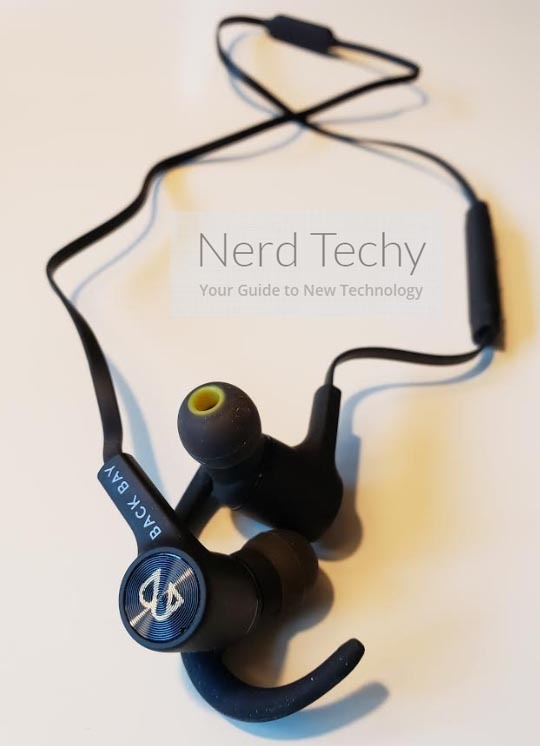 For example, Back Bay Audio didn’t make much fanfare about the magnetic couplings on these earbuds. But they’re definitely worth taking notice. The back plating of each bud is compete with a miniaturized magnet, helping allow you to clasp the buds securely together. It’s pretty great for helping carry or handle them. Compared to alternatives, it’s even handy for helping you put them in your ears because both buds start from the same position. This magnetic latch is something you can easily take for granted until you don’t have it. Another detail that’s easy to overlook, these earbuds make use of flattened wiring, which helps them to resist tangles. If you’re going to have to deal with a wire, you may as well deal with the best wires you can get your hands on. And in the interests of portability, the best you can get is something quite similar to this. Like almost every other pair of similar earbuds, the EQ 40 were built to be effectively sweat proof thanks to an IPX4 water resistance certification. You can run outside in the rain, or sweat all over them in the gym without having to worry about damaging anything. You probably wouldn’t want to wear them in the shower, and you certainly wouldn’t want to go for a dip in the pool. Submersion or strong spraying forces are a bad idea with this certification, so it’s best to think of them as water resistant rather than waterproof. When you’re listening to audio in an active capacity, you have to concern yourself with the stability of your earbuds while they’re in your ear. And in the interests of stability, this kit includes three stabilizer wings that can help ensure you don’t have to worry about stability at all. The included sizes are small, medium, and large. After you’ve got the right fit, you should be able to move around rather frantically without the earbuds so much as budging. Additionally, the EQ 40 includes three noise isolation ear tips, and three open ear tips. The open ear tips don’t make any effort to block sound from your environment. That does two things. The obvious thing it does is that it allows you to remain aware of your surroundings. Need to know if someone’s knocking at your door? The open ear tips can help you with that. When you don’t actually need sound isolation, like can be provided by the isolation tips, then you’ll find your audio quality is actually slightly better with open ear tips. Due to reasons related to the physics of soundwaves, there is a distinctive difference between hearing audio that is allowed to radiate away from its source, and hearing audio that’s trapped around your ear canal. It’s similar to the difference between being trapped inside a room that’s prone to echoing, and being in an open cathedral. Open ear headphones have a more spacious sound because they literally facilitate you to hear a different type of sound on a physical level. However, because audio is allowed to radiate away from the EQ 40, the open ear tips mean anyone in your vicinity will be able to hear your music rather clearly. Again, since the open-ear tips do not actually protect you from noise, or protect others from your noise, you’ll want to use the noise isolation tips in many circumstances. And thankfully, swapping the tips is quite simple. The EQ 40 are tuned with a soft emphasis on bass. The midrange is quite relaxed, while the highs feel crisp. But that’s just one possibility. 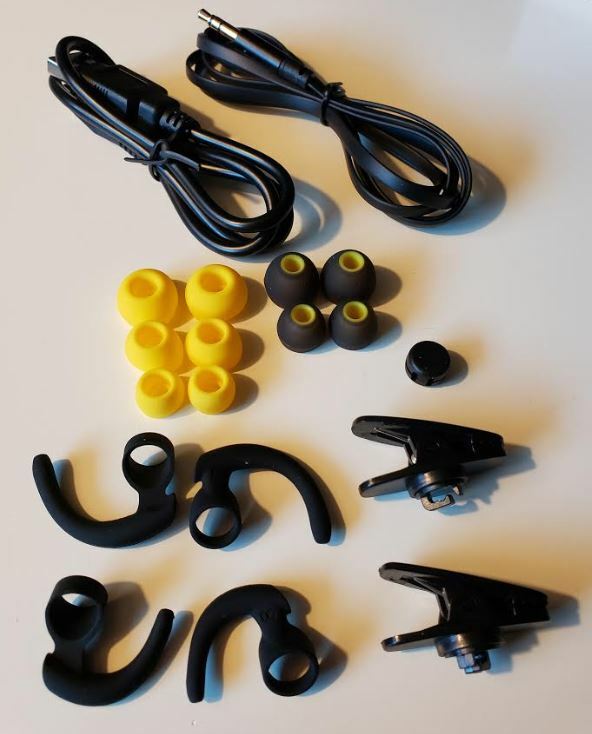 Many pairs of earbuds are made specifically to provide boosted bass. Others are made to heighten the treble, or push some energy into the mid-tones. The EQ40 aren’t actually built to do a single thing, they’re constructed around a built-in equalizer that allows you to help swap between different soundscapes at a moment’s notice. The equalizer includes five presets, though if you’re like most people, you’ll probably find one or two that you like and tend to stick with them. In either case, having these options really makes it a lot easier to find exactly the kind of sound you’re looking to get. Even as you move through different genres of music, and without having to bother with using an app. Even before you use the equalizer, these earbuds sound almost unusually good for this price range. Part of the reason they sound that way is because they’re burning through an enormous amount of power. To that extent, you can think of these earbuds like an American muscle car. Maybe they’re not the most gas-efficient way to get around, but they have real power. Whether or not that’s a good trade depends entirely on what you plan on doing with your earbuds. Apart from the previously mentioned wired mode, there is, of course, a wireless mode. The EQ 40 establish their wireless mode with the assistance of the latest iteration of Bluetooth. 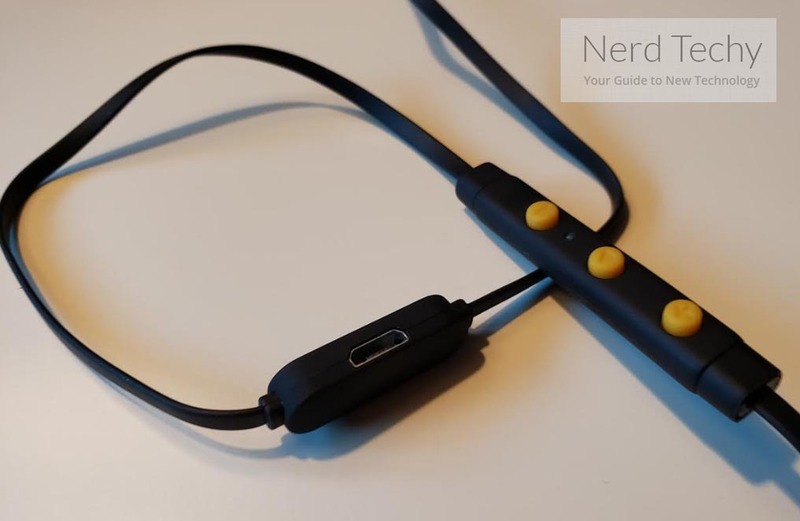 In this instance, there’s no need to be overly critical of the Bluetooth connection because even when running wireless operation, these buds aren’t truly wireless. As such, there’s no need for syncing between the buds, and even older iterations of Bluetooth would be more than adequate. In any case, the included Bluetooth support is steady and reliable, but you’re leashed to a maximum distance of 30ft for transmission. How does the microphone perform? Surprisingly well. 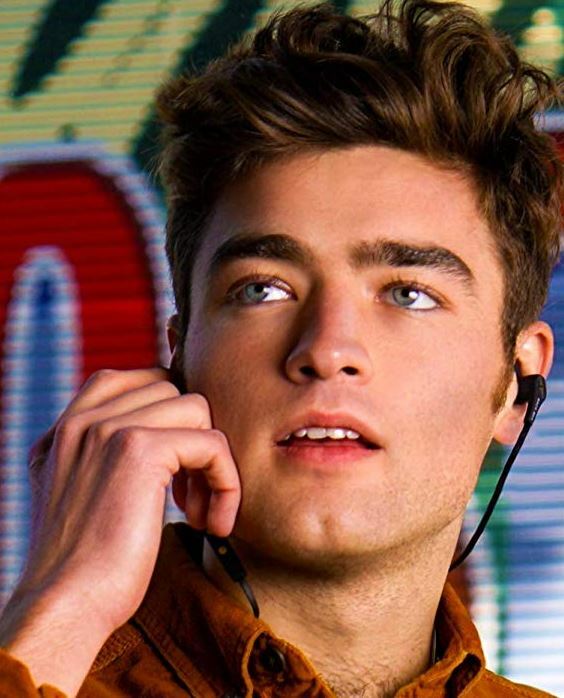 Because the in-line microphone makes use of cVc noise cancellation tech. If you’re not acquainted, it helps to emphasize the clarity of your voice by layering some white noise over your background, as a sort of ambient noise. The microphone actually only works while you’re running the wireless mode, which is something to keep in mind for people who plan on playing in the wired mode from time to time. Beyond that, you’ll find essential hands free calling features so you don’t have to micromanage your calls any more than necessary. But those sorts of features have become so standard, they’re hardly worth exploring. The EQ 40 earbuds charge with a standard micro USB cable. Though no charging case is included with this kit, these earbuds are compatible with the Back Bay Charging Case. Sounds useful for expanding at some point, right? Well, you might consider doing that sooner rather than later. Because the EQ 40’s battery lifespan is about 6 hours. A little low, but not without good reason. 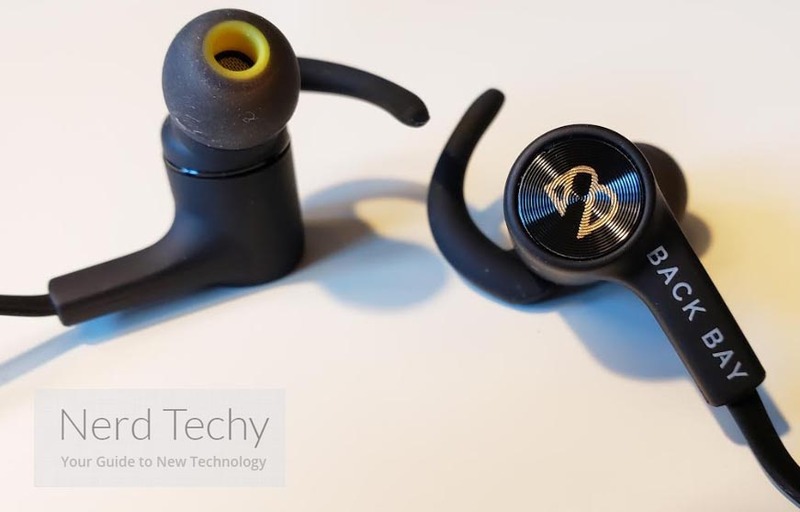 Not only are these earbuds tremendously lightweight and portable, relative to similar wireless earbuds, but their audio is a bit high-powered, which is essential to creating their HD sound. And one mitigating factor is that these earbuds can recharge pretty quickly. In fact, 15 minutes of charge will give you about 90 minutes of playtime. Not bad at all. For people who are wearing earbuds to hop on a bus and to go work, or wearing earbuds to workout at the gym, then their relatively low battery lifespan is still going to be adequate. It’s only when you start trying to watch two Lord of the Rings movies in a row that you’ll really encounter an issue. Who Should Choose the Back Bay EQ 40? The Back Bay EQ40 are successful in about half a dozen ways, and unsuccessful in about half a dozen ways. They’re successful when it comes to being dynamic. 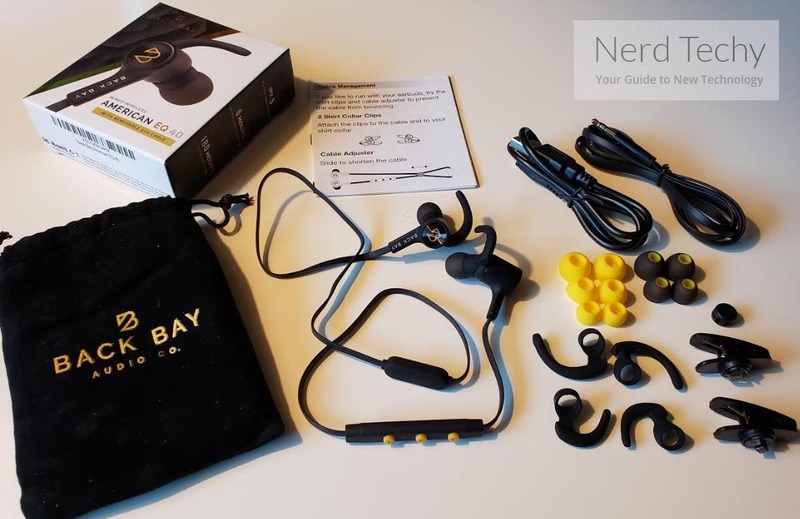 These headphones have a reasonably impressive microphone, they can let you move between wired/wireless operation, and they have a number of different tip-size options for comfort and stability. Great stuff. But like a maniacal dictator, these earbuds are hungry for power. 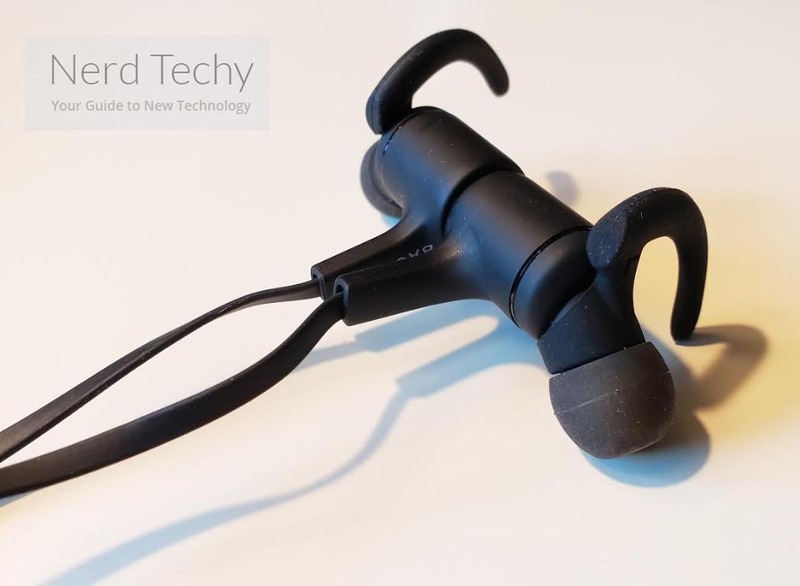 If you don’t decide to pick up the charging case, which will tack on about $15 to their price, then you’ll find them more like wired earbuds that can occasionally be used for a sprint of wireless connectivity. However, if you’re able to forgive the limitations to their battery capacity, or make up for them by implementing the charging case, then the EQ40 are probably worth picking up. Because these earbuds really do deliver slightly better bass performance, slightly clearer vocals, and a slightly better sound than most buds in this range.